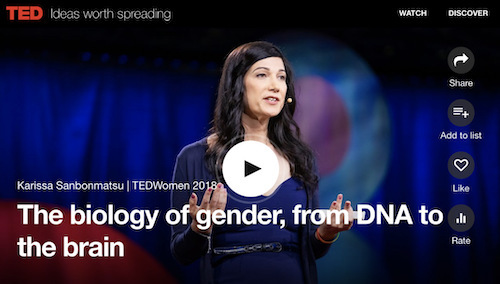 Karissa Sanbonmatsu, a LANL scientist with an affiliation with the NMC, gave a TED talk titled The biology of gender, from DNA to the brain. How exactly does gender work? It’s not just about our chromosomes, says biologist Karissa Sanbonmatsu. In a visionary talk, she shares new discoveries from epigenetics, the emerging study of how DNA activity can permanently change based on social factors like trauma or diet. Learn how life experiences shape the way genes are expressed — and what that means for our understanding of gender.